Karl Fessenden is big on both consistency and agility. Consistency in providing a service with the same quality in Caracas as his company delivers in Karratha, and agility in responding to challenges as diverse as a one-off emergency medical retrieval to the day-by-day servicing of the oil and gas industries. He speaks about it on his Linkedin profile. He speaks about it face-to-face. And it is clear they are qualities regarded as touchstones in the battle for business across the globally competitive offshore transport and SAR sectors. Fessenden is the boss of Texas-based helicopter business CHC which provides offshore transport on six continents and operates one of the most extensive SAR networks in the world – a reach that has sparked an insistence on equally global best practice to overcome the potential challenges of different regulatory frameworks, maintenance and flight crew standards. In Australia, that standard embraces CHC services to the oil and gas operations of the North West Shelf as well as its lesser-known but financially important involvement in search and rescue with the Australian Defence Force and the Victorian and West Australian state governments. 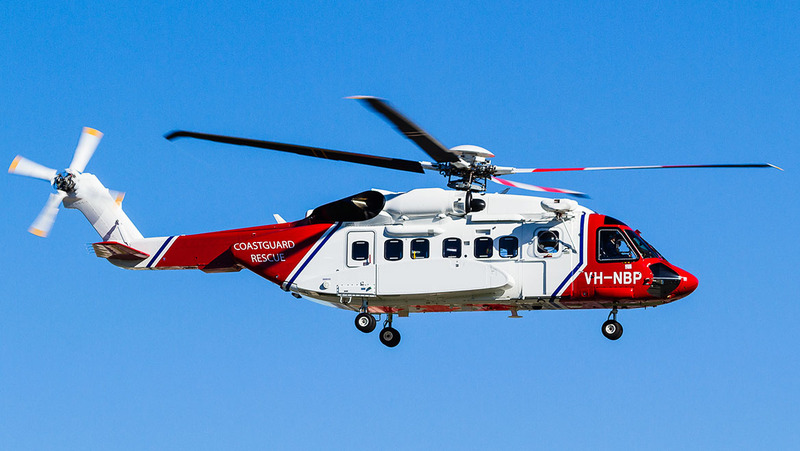 At the same time it covers an Australian workforce of more than 450 and a fleet of 35 aircraft (on the CASA register as of May 1) including three newly-minted, super-medium Leonardo AW189s, the only 189s in the current CHC stable. They joined an established group of AW139s, Airbus Helicopters EC135s, AS365 Ns and AS332s, Sikorsky S-76s and S-92s, and Bell 412s. In a wide ranging interview with Australian Aviation, Fessenden was candid about CHC worldwide, its successful restructure and emergence from the Chapter 11 bankruptcy process, the importance of Australia to the CHC balance-sheet, the relationship with CASA, and CHC’s ambitions, including further diversification into SAR and emergency medical services. Fessenden was speaking in Canberra on one of his regular visits to Australia from CHC headquarters in Dallas, and shortly after the announcement of a major national development in the CHC story: the 30-month contract extension to its SAR coverage of RAAF flight operations from five bases around the country, including the replacement of the previously established Sikorsky S-76A+ helicopters with six of the new generation AW139s. The AW139 is a firm favourite of CHC which operates more than 40 worldwide and the commitment to the RAAF fleet is key to plans aimed at consolidating RAAF, RAN and Army contracts under a single umbrella. “We’ve provided services to RAAF for over 30 years within the country, and just in the past couple of years we also have a separate contract with the Army, and a separate contract with the Navy,” he said. To further lay the foundations with the ADF, Fessenden wanted to demonstrate advances in technology from the established S-76s with the introduction of the AW139s, as well as discuss leveraging off CHC’s wider assets to improve co-ordination of resources across the forces. That technological advance includes AW139 basics such as speed, range, lift capability and avionics, to items as niche as the recently introduced white phosphor night vision goggles that literally put the more common, green phosphor goggles in the shade. CHC says it is the largest operator of white phosphor goggles in the southern hemisphere, a technology subject to such stringent controls that the company had to gain US State Department approval to employ it. Fessenden said most Australians with even a passing acquaintance with spy movies would be familiar with the ubiquitous green “vision” delivered by standard NVGs. White phosphor is far more sensitive. “The contrast is better, and this allows you, in a search and rescue situation, to see more and have a higher probability of finding someone,” he said. The goggles have also been introduced in SAR operations in Ireland and Norway, but Australia leads the way in terms of their deployment. Potential scenarios for their peak safety use might include activity as dramatic as open sea rescue, or the equally dangerous dodging of power lines during a land-based retrieval in the dead of night. 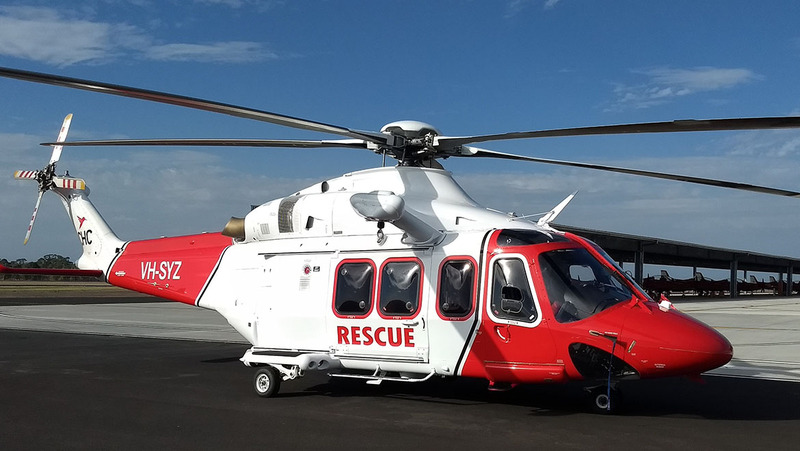 This overall focus on SAR in Australia underscores a financial importance that is somewhat out of sync with CHC operations around the rest of the world. Fessenden said that worldwide, about 70 per cent of CHC business is oil and gas, 20 per cent search and rescue and 10 per cent MRO through company affiliate Heli-One. 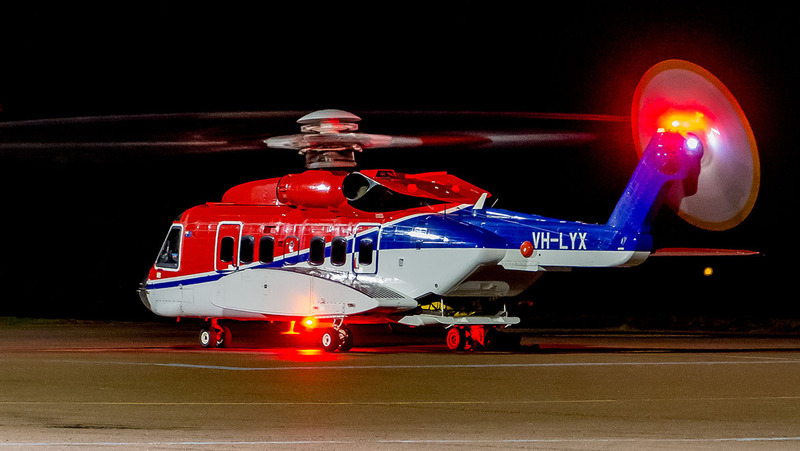 Australian Aviation reported in February that 50 per cent of CHC’s Australian revenue comes from SAR operations. It is a factor not lost on the CHC boss in the context of the role Australia plays on the balance sheet: “We have Europe, the Middle East, Africa. We have Latin America and then we have APAC, or Asia Pacific, which obviously is the Australia business,” he said. It is a history and experience that Fessenden said CHC is now trying to use as part of a diversification program to grow the SAR and EMS business outside Australia. At the same time, there is an equally important drive to maintain CHC’s “huge presence” with the large companies involved in oil and gas. Offshore, CHC is involved in tendering for business that will involve a drive towards more efficient use of helicopters for large producers, including a consortium involving Woodside, Quadrant, BHP, Vemilion and Jadestone Energy. There is no doubt CHC sees diversification as important to riding out the peaks and sometime deep troughs brought about by the vagaries of oil and gas prices. It took just over two years for the then highly leveraged company to fall from the high of its launch on the New York Stock Exchange in 2014 to a filing for Chapter 11 bankruptcy protection in the wake of plunging oil prices and decline in demand. The subsequent restructure came with plenty of pain, not only through heavy cuts to its fleet – both owned and leased – employee layoffs and further stringent cost-cutting, but also a blow to reputation from two fatal accidents, one in Norway involving an Airbus H225 leading to a grounding of the type, and the other an S-92 operated by the Irish Coast Guard off the west coast of Ireland. CHC was subsequently cleared of any blame in the Norway accident. Mechanical failure was ruled out in a preliminary report into the S-92 crash. The final report has yet to be released. He told Australian Aviation the entire process proved a challenge in educating global customers and regulators that Chapter 11 is uniquely American, aimed at saving companies and jobs, and not a cipher for liquidation, bankruptcy or administration. “I have to say Australia was one of the areas we had to do the most heavy lifting, because the Australians were just a little sceptical and didn’t fully understand. I think the closer you get to North America the more you’ve seen or heard of it. CHC eliminated a billion dollars of debt through the restructure and reportedly sent back more than 80 helicopters from a fleet of 230. On the plus side, it gained a capital investment of US$300 million from established creditors, and an aircraft financing facility of a further US$150 million. “So we are in a very healthy spot right now … a year past bankruptcy we have probably the healthiest balance sheet in the offshore transport and search and rescue business. We’re ahead of our emergence plan and we’re very happy with our liquidity and stability,” Fessenden said. He said it was important to understand the priority and focus of government around issues such as safety and efficiency, hence CHC’s interest in the potential emergence of a combined ADF SAR contract with subsequent implications for similar partnerships across the global CHC business. Meanwhile Fessenden has a more positive view on the relationship with CASA compared with vocal critics frustrated by delays linked to the complexity of greater regulatory alignment with ICAO and the European Aviation Safety Authority. The strong working relationship with CASA was exemplified recently with co-operation on the introduction to Australia of the AW189. “In fact, the CASA regulator who had to approve us was training on the 189 side-by-side with our crew, because it was new to the whole country. That’s the kind of partnership we have with CASA,” he said. It is a partnership that extends to discussion around training of both pilots and engineers despite the fact that – unlike the current fixed-wing pilot shortage – there is a surplus of helicopter pilots because of the downturn in oil and gas prices. CHC believes it will be a very different story in 10 to 15 years’ time, and is engaging with the Australian Helicopter Industry Association and CASA to formulate a way forward. Finally, Fessenden’s biggest global business challenge of the moment? An oversupply of helicopters among his competitors against the backdrop of a sluggish resource sector. It means making some tough decisions on price. “Most of our tenders are brutally competitive right now. Our biggest issue is we’ve had the medicine of Chapter 11, so we have a fully utilised fleet. A lot of our competitors have idle assets, so any revenue at all (for them) is better than no revenue. “We have some competitors that have unsustainable pricing decisions. That isn’t good for the whole industry. So what delivers that final competitive edge? The interview was back to where it began. The touchstone: “consistency”. 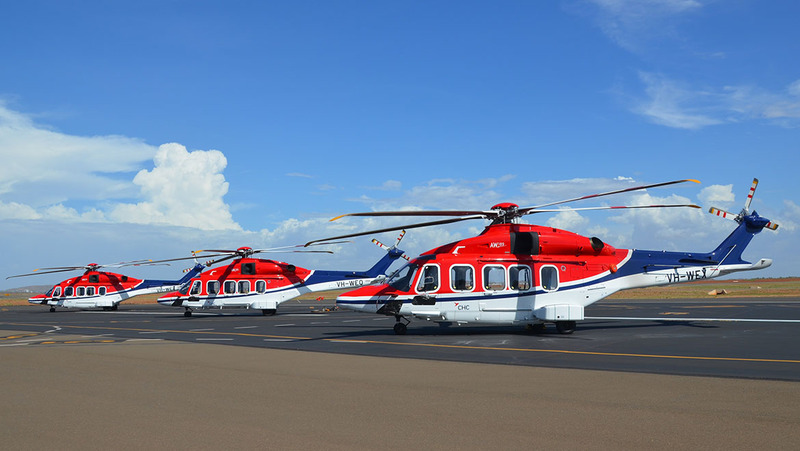 “We like to describe our brand as the only global provider of helicopter services that has a single quality manual around the world,” Fessenden said. “So if you fly with us, as I said, in Perth or in Rio, you have the same product. This feature article first appeared in the June 2018 issue of Australian Aviation.